Banbury based wine business SH Jones has acquired the assets of online drinks retailer Slurp.co.uk, which had been put into administration. Speaking to the drinks business today, commercial manager for SH Jones Greg Shaw said that Slurp had been growing its sales and customer base but was unable to trade profitably in the UK. When Shaw saw that the UK assets of Slurp, trading as Ribica International, were for sale through Edward Symmons, he was immediately tempted by the potential for allying Slurp’s online presence with SH Jones retail and wholesale business. “As soon as I read the blurb on the business, I thought that’s got to be Slurp, and I saw the enormous opportunity… the more I looked into it the more exciting it seemed to be,” Shaw told db. Shaw explained that while Slurp held a small amount of stock for immediate delivery, SH Jones already has warehousing to hold over 10 times more wine, avoiding the need for “just in time” deliveries from diverse sources. He also stressed the need for low overheads in online retailing in the UK. “The secret is to be slim and efficient, because you can compare prices easily online you need to operate at low margins, and this requires low overheads. Shaw admitted that there would be a period of transition but that Slurp.co.uk was still operational, although the range of wines on offer was currently limited. “There will be a period of transition but we want to recapture what was good about Slurp,” he added. SH Jones has acquired Slurp’s software system and any unsold stock and has agreed to take on all the staff, according to Shaw. However, SH Jones won’t be using Slurp’s warehouse and office in Park Royal, northwest London, but will be moving stock to SH Jones’s facility in Banbury, Oxfordshire. “I imagine that many of the staff won’t want to relocate from Park Royal to Banbury,” he said. Shaw also said that Slurp and SH Jones were not involved in a pre-packaged insolvency in which a restructure plan is agreed before declaring bankruptcy. He added that Slurp does have creditors but that SH Jones would not be taking on the debt. 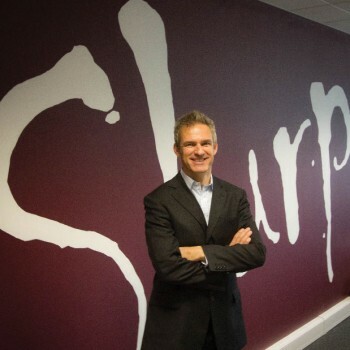 Meanwhile, Shaw explained that Slurp’s online wine retail business in Hong Kong called Slurp Asia operates as a separate company and would continue to run independently, with Jeremy Howard, former Slurp CEO, as Slurp Asia’s majority shareholder. On the other hand, Slurp’s European sites, such as Slurpvin for France, have been “mothballed” according to Shaw, although he explained that SH Jones now has the potential to resurrect them. SH Jones was established in Banbury in 1848 and has been owned by the Jones family since 1886. A significant proportion of the company’s business involves the supply of wines to pubs, hotels and restaurants in the area around Banbury. SH Jones also has four shops in Oxfordshire. This is the second purchase by SH Jones of an online wine retailer this year following their acquisition of Hawkshead Wines in January. Greg Shaw was former proprietor of Hawkshead Wines. Always found the slurp model a little bewildering in terms of supplying. Based on the fact that we supply a minimum 20 dozen drop, Under Bond, Slurp listed many of our products and subsequently attempted to buy them by the single case – which had never been an option. moreover the wines were presented at prices below the price they would pay, as they had failed to take account of duty. I remember Jeremy telling us what we were doing wrong, luckily we didn’t take his advice. Genuinely sorry to hear of another wine business going into administration … especially a previous IWC Direct Merchant of the Year. But maintaining low overheads for an online business is nothing new!